It is with a great deal of sadness that the family announces the passing of our much beloved Husband, Father and Dziadzio. Predeceased by his loving wife of 35 years Mary (Zajda). 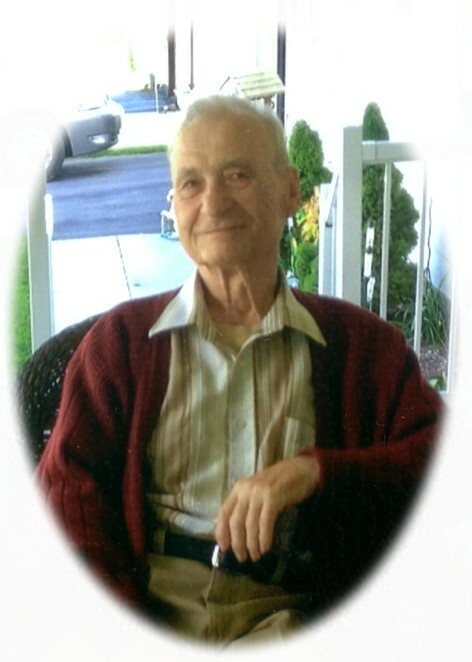 Ted will be sadly missed by his wife Maureen, daughters Anita (John), Egden, Cynthia and her partner Debbie (Rhinds), stepdaughters Cheryl (Dan) Hensman, Corinna (Jim) Peacock, 11 Grandchildren and 3 Great Grandchildren, sister Wera (Frank) Ramik, brother Mike (Violet) Kalmykow, brother-in-law Ted (Lois) Zajda and sisters-in-law Jean Rowbicki, Sheila (Jim) Burton, Linda (Peter) Sullivan, Colleen and Debra Burns as well as his many nieces, nephews and friends. Cremation has taken place. There will be a Memorial Service at Parker Funeral Home and Cremation Centre, 19 Moose Road, Lindsay on Saturday, September 28th at 2:00 pm, visitation from 1:00 pm until 2:00 pm. Reception to follow. Memorial donations to the Ross Memorial Hospital Palliative Care Unit would be appreciated by the family and can be arranged by Parker Funeral Home 705-324-1988. Online condolences may be made at www.parkerfuneralhome.ca.